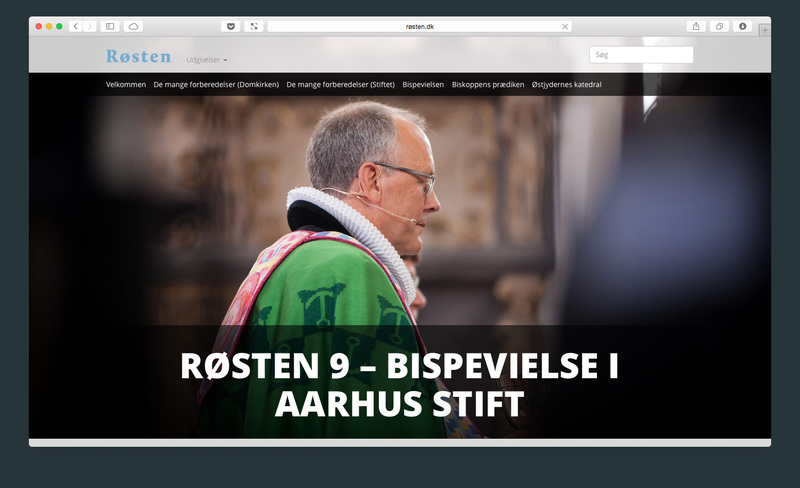 The diocese of Aarhus publish a quarterly magazine about church related activities. 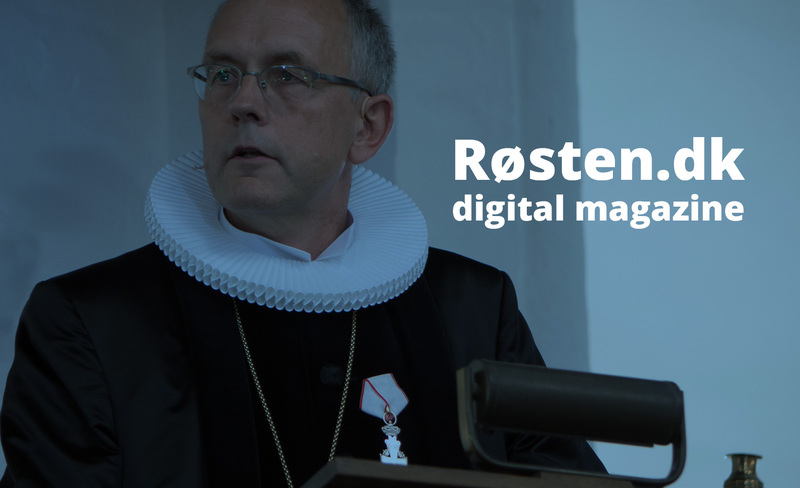 The magazine used to be published on the platform Issuu. Readers were complaining about bad readability. They would have to zoom in and out to read articles. 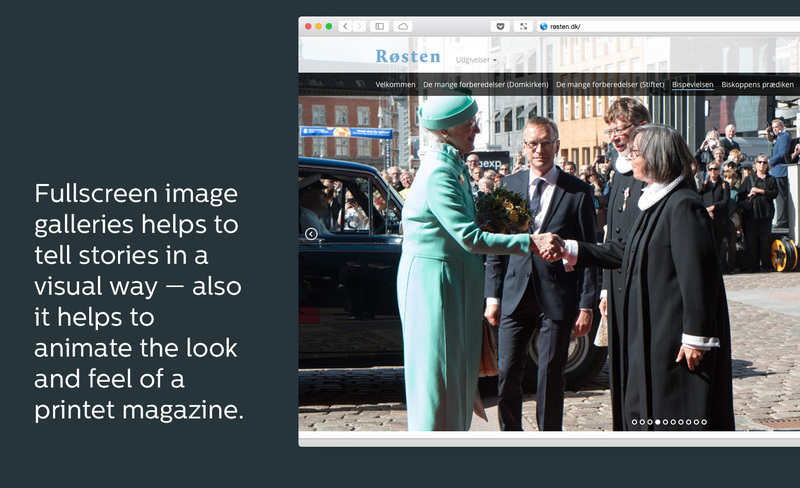 The publishers wanted to do something about this and also make it easier to take advantage of the opportunities a digital magazine platform would offer in terms of telling stories with both image galleries and video. 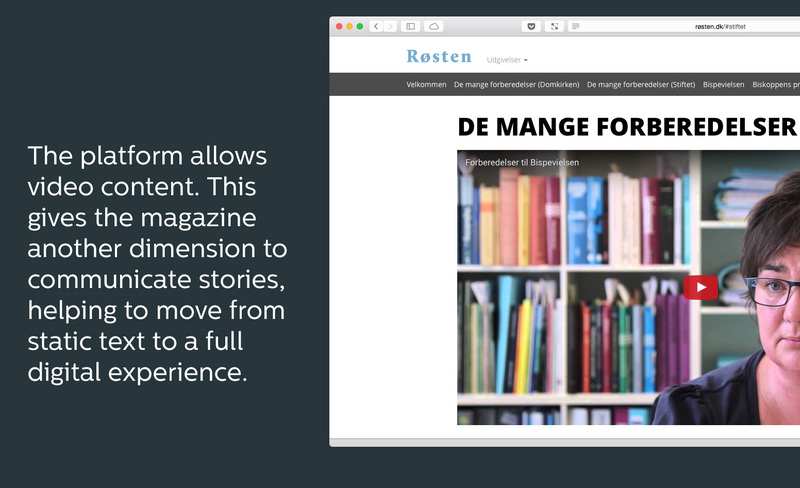 I analyzed and conceptualized both the wishes from the publishers and the readers and designed and developed a digital platform that offers the opportunity to easily create magazine content and issues. 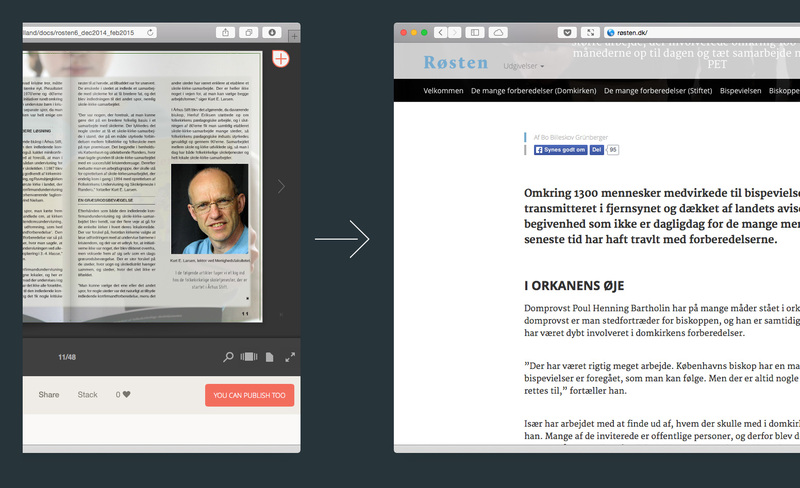 Long pages with smooth scrolling animate the feeling of turning pages on a printed magazine. 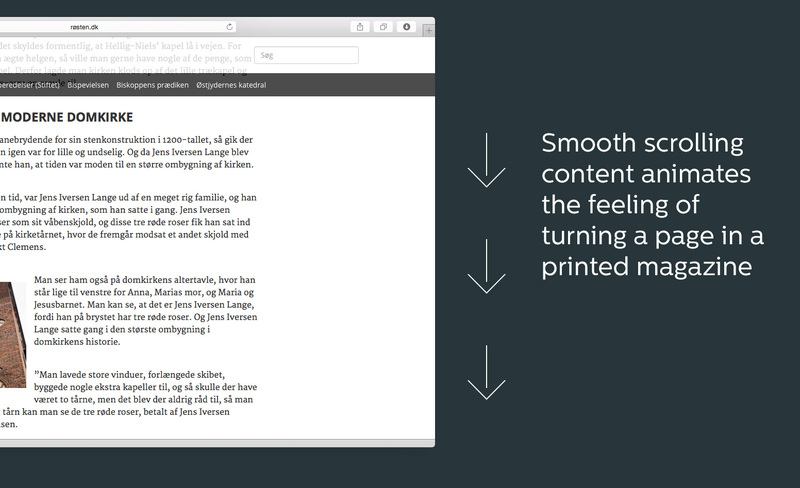 Large and clear typography makes articles easy to read and interactive content such as video and full screen galleries are easy to embed.